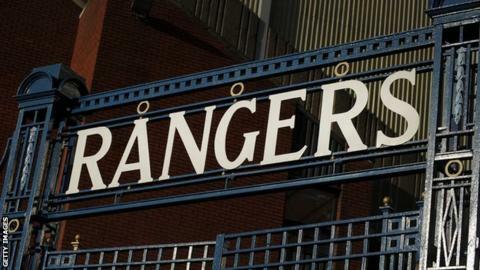 The commission appointed by the Scottish Premier League to investigate alleged undisclosed payments by Rangers will not strip the club of any titles. But the company that formerly ran the club have been fined £250,000 by the Lord Nimmo Smith-chaired commission. It found that 'oldco' did not disclose payments to the football authorities. The investigation relates to the period between 2000-11 when Rangers operated employee benefits trusts (EBT), the subject of a long-running tax tribunal. The commission found that the 'oldco' management did not take professional advice on disclosing the payments. "Oldco through its senior management decided that such side-letter arrangements should not be disclosed to the football authorities," it stated. I found the whole approach to this matter by the SPL utterly bizarre and misguided. "The board of directors sanctioned the making of payments under the side-letter arrangements without taking any legal or accountancy advice to justify the non-disclosure." The commission also iterated that: "The scale and extent of the proven contraventions of the disclosure rules require a substantial penalty to be imposed." However, the findings rule out any sporting penalty, as the non-disclosure did not affect the eligibility of players. "Rangers FC did not gain any unfair competitive advantage from the contraventions of the SPL Rules in failing to make proper disclosure of the side-letter arrangements," it states. "Nor did the non-disclosure have the effect that any of the registered players were ineligible to play, and for this and other reasons no sporting sanction or penalty should be imposed upon Rangers FC." The findings also stated that Rangers' current owners should not be held responsible for any breaches made by the previous company. Rangers manager Ally McCoist spoke of his delight at the removal of any threat of titles being removed, but criticised the SPL investigation. "I am delighted in many ways by the decision today," he said. "As a former player, I know how hard it is to achieve success on the pitch and the suggestion that somehow Rangers sought to gain unfair advantage was deeply insulting to me and others who had worn the Rangers jersey with immense pride. "I found the whole approach to this matter by the SPL utterly bizarre and misguided." HM Revenue and Customs had claimed the EBT scheme, which was used to make £47.65m in payments to players and staff in the form of tax-free loans, was illegal. Rangers disputed this and a First Tier Tax Tribunal ruled the scheme did not breach tax law. Rangers won the SPL five times after initiating EBTs for players.